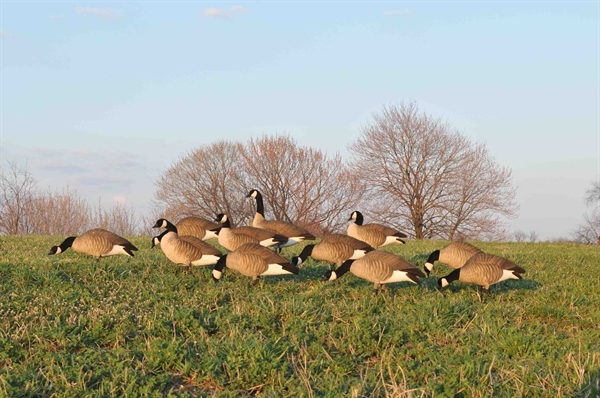 These Tim Newbold FFD Lesser Canada Goose Decoys - ACTIVE 6 pack (AV72300) by Greenhead Gear GHG Avery Outdoors have 10 uniquely different one-piece bodies. One word sums up this new Tim Newbold series…incredible! These Tim Newbold FFD Lesser Canada Goose Decoys - ACTIVE AV72300 by Greenhead Gear GHG Avery Outdoors hav 10 different bodies ranging from 17” to 22-3/8” in overall length. 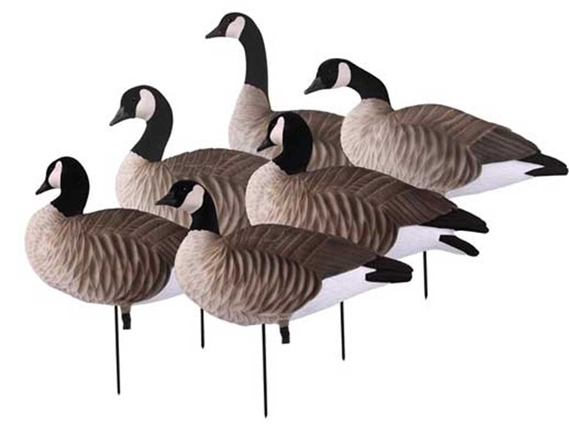 Available in both traditional flocked heads with painted bodies and FFD versions. 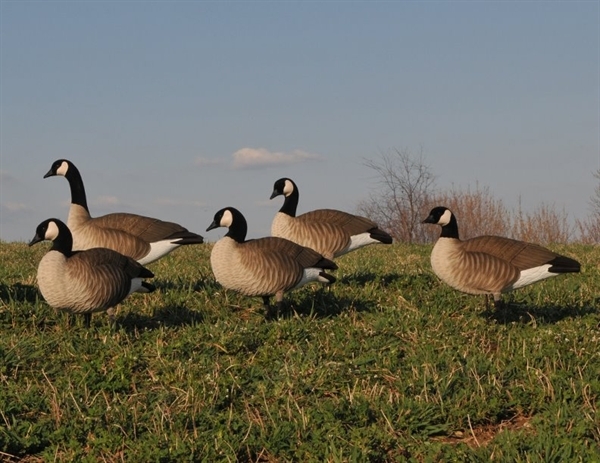 These Tim Newbold FFD Lesser Canada Goose Decoys - ACTIVE AV72300 by Greenhead Gear GHG Avery Outdoors will help you harvest more geese this year. NOTE: This is the Fully Flocked Model. (1)You can do this by cutting a bigger hole in bottom of the decoy. (2)OR heating the cone connection area of the decoy up with a hair dryer. You can then adjust the angle of the cone. 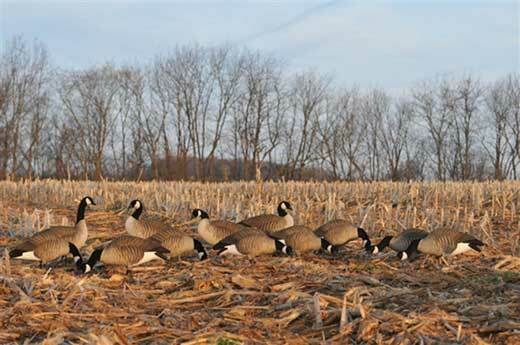 (3)Or move the cone by drilling a new hole until the decoy balances on the stake. Normally $190/6 pack. On sale now for $149.90!! !